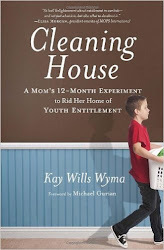 This one is another summer reading pick at my library this year. 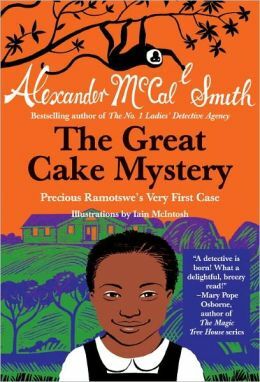 It features Precious Ramotswe from McCall Smith's adult mystery series that begins with The Number One Ladies Detective Agency, presenting her very first case. 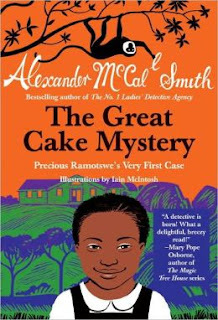 Precious lives in a village in Botswana and is an intelligent, observant little girl who thinks she might like to be a detective when she grows up. When children's cakes start disappearing from their lunches at school, suspicion immediately falls on a little heavyset boy who loves sweets and always walks around with candies in his pockets. Precious knows that just because he likes desserts doesn't mean he's the thief, and she sets out to find out who the real culprit is. This is a sweet, simple story with large print, illustrations and lots of white space that will be appealing to new chapter-book readers. 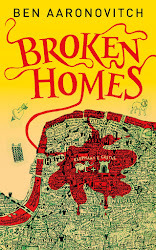 I like the setting, which is atypical of most children's books. 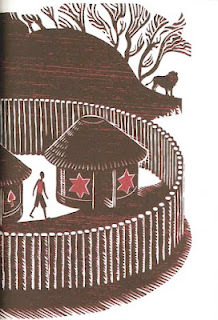 While it doesn't offer much complexity of character, it gives a nice picture of the African village where Precious lives without long boring descriptions. 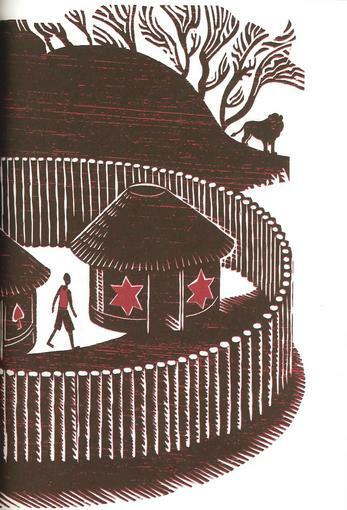 Most important, it shows the many ways in which the lives of these children in Botswana are just the same as those of children all over the world.